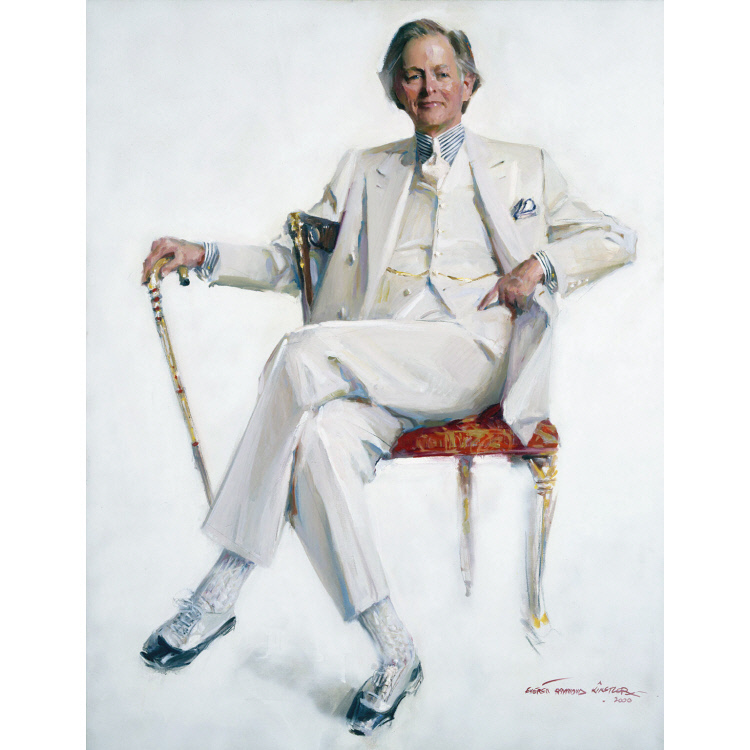 By now you’ve all seen, heard, and read that the great Tom Wolfe died this week. His social satire and sardonic wit carved out a distinctive path through post-modern America. 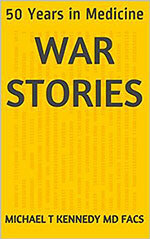 Wolfe championed a literary style that was part journalism, part acerbic effervescence. 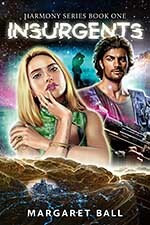 Few (if any) recent writers were better able to craft stories by such vivid portrayals of particular people in particular places at particular times. Here is Tom Wolfe in one of his many interviews with William F. Buckley on Firing Line. Just two mid-century Yale Men parlaying over the Black Panthers, Bernstein, Balzac, Homo Ludens, and the Mets disappointing season. The question by the gentleman at around 39:45 is actually a good one and a complaint Wolfe faced his entire career. As a chronicler, he had a tendency to paint the events into flourishes that steered the situations toward the underlying themes that he was using to make his broader point. Conversely, as a novelist he was accused of conflating ordinary details into fantastic baroque ideals. There’s no denying that Wolfe was the master of expansive simplification. The principles of his style required a complete accounting of all the dimensions of the scene. The culmination of that manifesto was nowhere more on display than in his masterpiece The Bonfire of the Vanities. Here is snippet from chapter 5 following Kramer walking into the DA’s office. usual, Kramer was carrying his leather shoes in an A&P shopping bag. Good Enough for Government Work when it came to interior decoration. 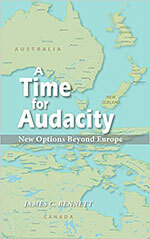 Andriutti and Jimmy Caughey, were sitting sprawled back in the swivel chairs. Homicide, the most manly of the six bureaus of the District Attorney’s Office. doing sets of French curls with dumbbells at the New York Athletic Club. shirt, and his pectorals hardened into a couple of mountains of pure muscle. times a day, on the average. And that’s just the scene and status. The dialogue continues with the obligatory obscenities and a glimpse of “donkey loyalty”, as Wolfe calls the tribal ties that contrast the “Favor Bank” of the legal system. Rest in Peace Tom Wolfe, and thank you for your works that contributed to our awareness and understanding of this ever perplexing world. We learned belatedly of Helen Szamuely’s passing. Helen was a historian, an English patriot — a founder of what was to become the Brexit movement, a researcher, literary critic, public intellectual and political commentator and prolific writer. The Telegraph‘s obituary is a bit harsh (perhaps payback for deserved slights) but gives some background. 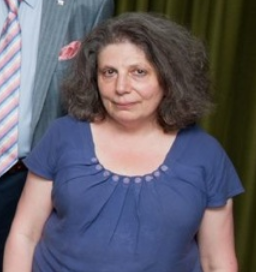 Richard North, Helen’s long-term collaborator on the great EUReferendum blog, has kind and interesting remarks about Helen, and a video of Helen speaking, here. Richard’s son Pete shares thoughtful reminiscences about Helen here. She was prominent in London conservative political and intellectual circles but those of us “across the pond” had to make do with her online presence. I wish I had met her in person. Helen wrote or contributed to numerous blogs. Besides EUReferendum the Chicago Boyz blogroll includes Conservative History Journal and Your Freedom and Ours and perhaps one or two others I’ve overlooked. She was also active on Facebook, Twitter and who knows where else on social media. Lex and I invited her to contribute to this blog and she very generously and cheerfully did so over the years. She was brilliant and erudite with a wide range of interests which she was always ready to discuss. I will miss her. RIP, Aleha HaShalom. Our condolences to Helen’s daughter, Katharine. Very sad. There was a period of many years, until recently, where I was in almost daily communication with Helen, as part of a group that included James C. Bennett. Helen was a brilliant, opinionated, sometimes prickly, deeply-learned, patriotic, liberty-loving woman. She was a strong and early proponent of Britain leaving the EU. She was right, she was way ahead of her time, and I am glad she lived to see PM May sign the notice of withdrawal. I considered Helen a real friend, despite never meeting in person, and it is sad that I never will now. Just on my current Gmail account, I have 1,879 email threads including Helen going back to 2005. She was a big presence, for me and for many others. Rest in peace, Helen. We are still here, pushing for all the things you believed in and fought for. Many of you with closer ties to either diplomacy or Cuba/ns will have much more enlightened observations; here is Kimball’s. Personal: I was talking to my brother when he saw the caption on his quieted television; we thought about our youths: when we were growing up, my parents hosted a wise older man, a Cuban psychiatrist who was in the process of certifying himself at the local hospital. He’d known Castro (their plantations had neighbored). He spoke to my mother’s reading club of why he had fled, foreseeing the future. But 50 years have passed; Dr. Jones is either very old or gone. I doubt he saw that far into the future – I can’t imagine his despair if he had. Steven Den Beste has died. RIP and thanks for the many thoughts. Thinkers like him come all too infrequently. “This practice of constitutional revision by an unelected committee of nine, always accompanied (as it is today) by extravagant praise of liberty, robs the People of the most important liberty they asserted in the Declaration of Independence and won in the Revolution of 1776: the freedom to govern themselves…. “A system of government that makes the People subordinate to a committee of nine unelected lawyers does not deserve to be called a democracy…. Justice Scalia’s dissent in Obergefell v. Hodges, June 26, 2015. 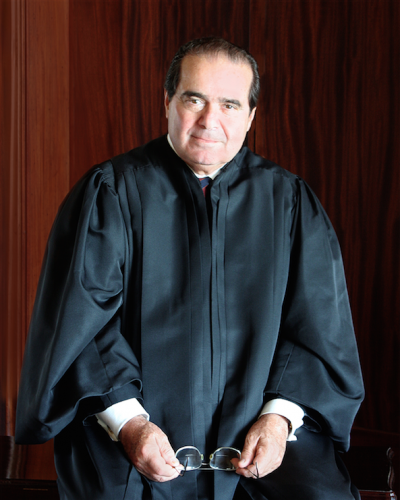 UPDATE: Justice Scalia’s Great Heart. Please read this. 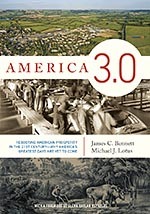 Professor McDonald was and will remain—long into the distant future—among the most influential historians on American history, particularly in regard to the American Revolution and the Constitution’s framing era. Some people might say he was the most influential historian of his generation. He wrote for both academics and the wider public. He also was part of the recrudescence of pro-Hamiltonian scholarship—not a small achievement considering he did this while writing in 1970s U.S. academia and while teaching in the deepest South. He wrote boldly, and he also experimented with new ideas about the past, including the so-called Celtic hypothesis. I am not going to describe his vitae or his personal life (about which I know little). These things have been and are being done well in many other forums. Here I want to describe how kind McDonald was to me personally. Most of the tributes you see and hear today about BB will feature crap like “The Thrill Is Gone” and that terrible song he did with Bono. This is the real deal and is what I cut my teeth on when I was discovering the Blues. You can thank me later. Godspeed. An honorary ChicagoBoy and an American classic if there ever was one. Thanks for the good times, Johnny. 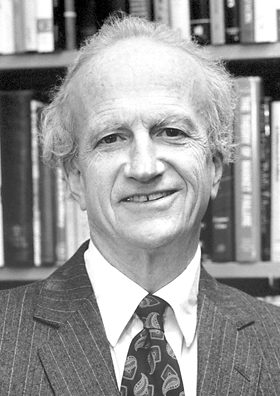 Gary Becker, one of the greatest living economists and a longstanding member of the University of Chicago faculty, has died. עליו השלום. UPDATE: Gary Becker links follow. Bob Casale, guitarist for DEVO – aka Bob2, died this week. My wife found this awesome version of “Gut Feeling” on Youtube that I will post here in remembrance. DEVO is a very underrated band and I encourage you to take a deep dive past the “Whip It” stuff if you haven’t already (although I like “Whip It” too). Instapundit notes the passing of Barry Rubin, whose Rubin Report posts (later shared on PJ Media) were among the most thoughtful and accessible analyses of Middle Eastern politics. This is a great loss. My condolences to Mr. Rubin’s family. Steve Fromholz died in a hunting accident this week-end. One of the Austin songwriters of the seventies, Fromholz perfected a kind of tough lyricism. The laconic irony was caught in a tag from that time – “a rumor in his own time.” But he was a rumor with legs. His influence on the next generation is obvious in works like Lovett’s. Fromholz was named poet laureate of Texas in 2007, four years after he’d suffered a stroke and then retrained himself in his art. Perhaps best known for the narrative precision of the Texas Trilogy, which captures the tough (and often rewarding) life of ranching in dry places. Here is a version of the lyrics. It’s hard to get some of those lines out of your head; they reverberate because they work, somehow, intensely; they give us a warm strength (“and cattle is their game and Archer is the name they give to the acres they own . . .”) thinking of those resilient characters. Lovett saw him as mentor and they share that ranching/literary background. Late to the party on this one, since I dropped my newspaper subscription a couple of years ago, but one of the ladies of the Red Hat circle I belong to mentioned this to me last night at our monthly dinner out. She couldn’t quite recall his name, but outlined enough that I figured it out, and confirmed by routine googlectomy this morning. He was our own local Victor Davis Hanson; I never met him in person, but I had friends and associates who had. A fantastic historian,(and a military veteran as well, since he was of that era) but personally rather bland and plain-spoken. Two of his books, Lone Star and Comanches are on my desk shelf within reach, and I cannot recommend them highly enough. T.R. Fehrenbach, who made history read like news. Veterans Day started after World War I as “Armistice Day” commemorating the end of that conflict on the eleventh minute, of the eleventh hour of the eleventh day of the eleventh month. As time went and wars came one after another, it became the day America commemorated as Veteran’s Day, for those who served under the flag in the military services. 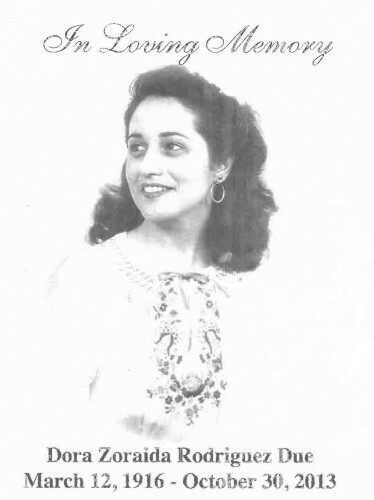 This year, though my memories are on one of the very many who were “They also serve who only stand and wait.” My Grandmother, Dora Zoraida (Rodriguez) Due died on October 30, 2013 at the age of 97 surrounded by her loving family members. She was the Daughter, Wife, Mother, Grandmother and Great Grandmother of soldiers of the American Republic. Men of her life and line have served in World War I, World War II, Korea, Vietnam, Desert Storm and multiple tours in Iraq and Afghanistan since Sept. 11, 2001. My Grandma Dora was such an “Army Woman” that even Spartan women of old would have pulled their hair and gnashed their teeth in envy. At her funeral one of her son-in-laws computed that the men of Dora’s life and line have served 111 continuous years of the 238 and counting existence of the Regular US Army. Truly there was not a day of her 97 year life that Dora did not serve, waiting, under the flag. I was a little bit shocked to hear Lou Reed was dead. 71 is not old these days. I knew he’d had surgery recently, but since I hadn’t seen further news, I assumed he was doing OK. Yet another musical hero gone. The Velvet Underground meant a lot to me, so I will put up a few words here. I was a fan of sixties rock’n’roll and first wave punk rock as a teenager. This was pre-internet. You found out about things via college radio or some musical publication, like Trouser Press, Boston Rock, Subway News, Goldmine, Creem. But you could not just find any song, any time, the way you can now. It was a universe of scarcity, in a way that people already have forgotten and cannot imagine. One name that kept coming up as semi-legendary precursors of punk rock, as a dark doppleganger to sixties rock was The Velvet Underground. I was on the look out for them, but I had not actually heard anything them by the time I got to college in 1981. There was a guy in the dorm who had all their records. He was gay. He made a half-hearted pass at me. I told him that was just not my thing — but I loved him for his record collection! Which was true. And I am forever grateful to him for his generosity with the music he had accumulated. I got my Velvets fix from him. I bought all the albums, too, starting with the first. I listened to The Velvet Underground and Nico over and over again. For whatever reason, the Velvet Underground was undergoing a revival in the early 1980s, and I had the good fortune to be there for it. Various bands came along and you could hear the Velvet Underground in them, it was in the air at the time. The Velvet Underground had somehow permeated everything that was happening a decade or more after the broke up. There was a band on campus called the Rhythm Method — a great, great band. They were immersed in the Velvet Underground. They did various Velvets songs, and could probably have done all of them if they wanted to. I recallOver You as a standard. There was another band called Dumb Ra. I was not a big fan, but they were also saturated in the Velvet Underground, and did Heroin as part of their set. My friends formed a band called Fang Beach, and in their early shows that had a light show based on The Exploding Plastic Inevitable. My own band — Flemme Fatale — did a cover of I’m Waiting for the Man. Our name was a Velvet Underground reference, of course. The Velvet Underground became a brooding musical omnipresence over my young adult life, and to a nontrivial degree over the rest of it as well, so far. The various live bootlegs are simply mind-blowing. These guys were so in the pocket it is like they are all one group-mind, a single organism. They were not only ahead of their time, no one has ever really sounded like them before or after. 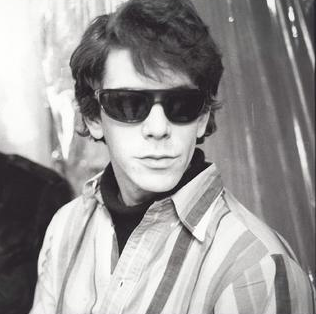 Sterling Morrison said somewhere that the Velvet Underground were ten times better live than on record. I think that is right, and the bootlegs show that even more than the “official” live albums, as good as those are. I was referring to this song, I’m Not A Young Man Anymore. Discovery of these bootlegs has been a great pleasure in recent years. These bootlegs are the secret crown jewels of rock’n’roll. The Velvet Underground have not lost their power to blow me away. With this kind of music, you either hear it or you don’t. One friend had a cassette I sent him the Summer after our first year of college. There was a song on there by the Velvets, I Heard Her Call My Name, which is a storm of dissonance, with a catchy pop sung buried deep in the din. He listened to it once and couldn’t stand it. Then one day right before school started again he put it on … . And he HEARD it. And he became devotee from that day on. Sometimes it happens that way. It is like love at first sight. Thank you Lou, for everything. Thank you also to John Cale, Maureen Tucker, Doug Yule, the late Sterling Morrison, and of course, to Nico, for making the Velvet Underground the timeless and deathless phenomenon it is and always will be. 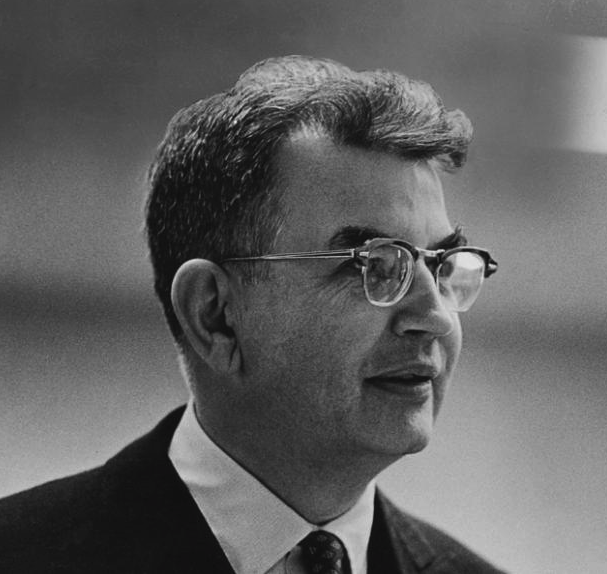 This blog is, after all, called “Chicago Boyz.” One of the greatest and most influential economists of all time, Prof. Coase was for many years a Chicago Boy. A career spanning eight decades has now come to an end. The official University of Chicago obituary is here. It was actually late on Friday evening when an American friend put up the news on Facebook: he had heard from another friend and colleague that Ken Minogue had died on the way home from the Mont Pelerin Society meeting at the Galapagos. Why has it taken me so long to write about a man I liked and admired as a thinker, a great force in politics and as a dear friend? Somehow, I feel it is appropriate to write about him on July 4, American Independence Day, when many English and, as some of us say, Anglospheric ideas were codified on the other side of the Pond, even if it meant a break with the mother country. Although Ken Minogue wrote for the fabled Encounter magazine at the time my father did as well, my own friendship with him is much more recent. Ken was one of the founders of the Bruges Group, chaired it for some years and retained a close interest in its doings. It was through that and other eurosceptic organizations that I knew him and through other friends became friends with him and Beverley. There are few things in my life I am more pleased and proud of than this friendship and few things I shall recall with greater pleasure than the various lunches, dinners, outings to the theatre (once to see the wonderful production of Guys and Dolls with Adam Cooper as Sky Masterson) and the cinema, and the many talks about subjects that ranged from musicals and Hollywood films to serious political ideas. The rest of the posting is on my blog, Your Freedom and Ours. Peggy Noonan had a very nice column about the Reagan funeral. I especially like the passages about Margaret Thatcher. Walking into a room in the Capitol Wednesday before dusk: A handful of people were standing together and gazing out a huge old white-silled window as the Reagan cortege approached down Pennsylvania Avenue. The sun was strong, like a presence. It bathed the women in glow. One was standing straight, with discipline. Her beige bouffant was brilliant in the sun. I approached, and she turned. It was Margaret Thatcher. It was like walking into a room at FDR’s funeral and seeing Churchill. To my son, whose 17th birthday was the next day, she said, “And what do you study?” He tells her he loves history and literature. “Mathematics,” she says. He nods, wondering, I think, if she had heard him correctly. She had. She was giving him advice. “In the world of the future it will be mathematics that we need–the hard, specific knowledge of mathematical formulae, you see.” My son nodded: “Yes, ma’am.” Later I squeezed his arm. “Take notes,” I said. This is history. Ms. Noonan concluded on this note. Many great things were said about Reagan, especially the words of Baroness Thatcher, the Iron Lady. What a gallant woman to come from England, frail after a series of strokes, to show her personal respect and love, and to go to California to show it again, standing there with her perfect bearing, in her high heels, for 20 hours straight. 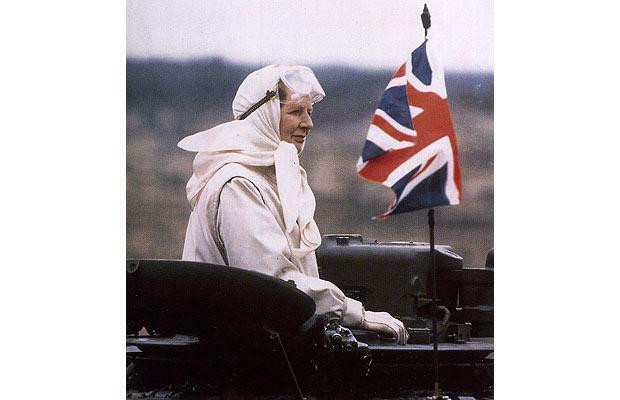 I wonder if the British know how we took it, we Americans, that she did that, and that Prince Charles came, and Tony Blair. One is tempted to fall back on cliche–“the special relationship.” But I think a lot of us were thinking: We are one people. Margaret Thatcher is loved by American Conservatives more than anyone in Britain will ever understand. She is bigger than life, a warrior goddess from the olden times. She and Reagan slew the communist dragon. Sic semper tyrannis. Here again are some of my favorite Lex posts, most but not all of which I linked last year at this time. All are very much worth reading. Movie vs reality. 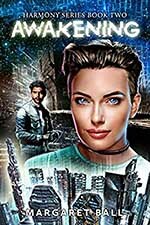 Lex, who served as executive officer of the Navy Fighter Weapons School (TOPGUN), answers some question’s from his daughter’s friend about the movie. Hornets, Tomcats, Scooters, Girls & Guys, Oh My! Have you ever killed anyone? asked the massage therapist, after learning that Lex had been in the Navy. You’re having a dinner party and have the magical ability to invite 10 people–5 men and 5 women–from all of history. Who would you pick? A troubled pilot and an F-18: Maybe they saved each other. Tennyson’s Ulysses, personalized and hyperlinked. Created by Lex to mark his retirement from the Navy. Perhaps my favorite of all of Lex’s posts, and particularly appropriate today. Bill Brandt, a frequent Chicago Boyz commenter, has a tribute to the Captain at The Lexicans. Dave Brubeck, whose music’s wit so delighted my parent’s generation – died at 91. He reminds us of another era, when smoking meant subtle lights in a dimmed room and when pauses spoke as couples in quiet clubs paid thoughtful respect to a music that moved and innovated and then returned to its roots before launching out, reaching out, again. The obituaries seem fewer – he played long into a different culture. But Brubeck and Theolonious Monk and Jerry Mulligan were the sound tracks of the Baby Boomers’ parents and remind us of a vision that took notes, creating again and again a new order, a new beauty. Improvisations are grounded on Youtube: the interaction between musicians and an engaged audience lost, they remain to explain that time and those people. As the sixties became the seventies, we thought the fifties plastic, conformist, simple. All those vinyls my father loved remind us it was more complicated than we knew – perhaps because they were, themselves, like the music -laconic, cerebral even. Elvis and the Beatles, rock and country – for decades they all lived side by side with Brubeck. Born Dec. 6, 1920, Brubeck grew up on a ranch, planed to become a veternarian. He died Dec. 5, 1912 in Connecticut. His life appears full and generative: New York Times, NPR. YouTube from the Times. The political and academic historical world of the British Isles seems to have been plunged into mourning at the death of Professor Eric Hobsbawm CH (Companion of Honour), author of many hefty tomes and a life-long Marxist and Communist. People who would rightly excoriate any Holocaust denier weep copious tears over a man who has spent decades denying the crimes of Communism, supporting the most horrible totalitarian system in history, skating over such matters as collectivization, the show trials and the forcible take-over of Eastern Europe after the war and writing history that is pure Marxism. Well, not me, if I may use such an ungrammatical expression. Here is my take on the man. 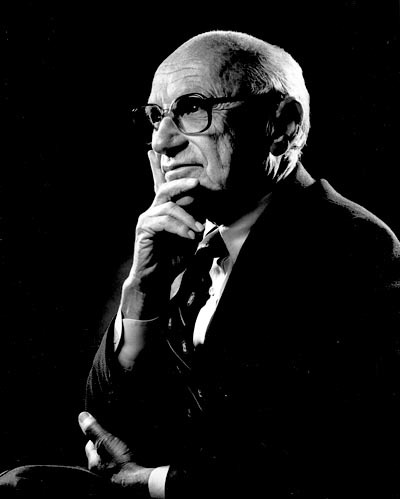 Today would have been Milton Friedman’s 100th birthday. None of us knew him personally but all of us, I think it is safe to assert, miss him, and the world is much the worse for his absence. עליו השלום – alav hashalom. Stephen Moore’s thoughts for the day are worth reading. UPDATE: A good brief video from Reason. Following up on Twilight of an Internet Gem, eschatological blogger John J. Reilly passed away Wednesday, May 30, 2012 from a disease that unfortunately proved to be, as Wikipedia clinically observes, “incurable and invariably fatal”. Services for Captain Carroll LeFon…Neptunus Lex…were held Tuesday March 26 at Fort Rosencrans…I wasn’t there, but a large number of Lex’s blogfriends were present in addition to his family, colleagues, and real-life friends. The flyover was, appropriately, by a U.S. Navy F-18 and an ATAC Kfir. Many people have written tributes to Lex on their own blogs. Fuzzybear Lioness reposted a piece she wrote in 2008, on the occasion of Lex’s retirement from the Navy, in which she describes getting to know the Captain via blog and email and later meeting him in person. Well worth reading. Also, someone found a “Friday Musings” post from a few years back featuring Lex himself, on video. My own selection of favorite Lex posts can be found here. A new blog, The Lexicans, has been formed in order to continue the great community that grew up at Neptunus Lex. 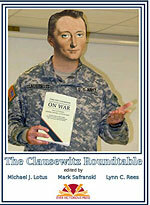 Hopefully all Lexicans and recent Lex-discoverers will check it out. And I understand that the U.S. Naval Institute plans to publish in book form “Rhythms,” Lex’s book-in-progress about life on an aircraft carrier, and possibly the blog itself as well. It was a pleasure reading you and learning from you, Lex, and it was an honor to be listed as a “Wingman” on your blogroll. Instapundit linked to Remembering Earl Scruggs. I forwarded it to a friend who is a huge Scruggs fan and she returned the links she’s been listening to today. Thought I’d share: A handsome young Earl Scruggs. The elderly Scruggs picking with the brilliant Bela Fleck on the classic “Salty Dog”. Nitty Gritty Dirt Band’s Will the Circle Be Unbroken, Earl Scruggs is featured at 1:37. Finally, 7-year old Ricky backed by Scruggs and Flatt.